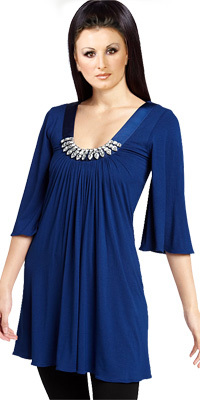 An exotic neckline with an open back feature makes this tunic a genuine product. The stylish long length combined with � sleeves and a designer hemline is what makes it unique. Embellished with glittering gems this outfit will make you dazzle.